What ages go to your camp? Merri-Mac accepts ages 6-16 in all sessions. We have no deadline. Both our camps are on “rolling” admissions; we begin taking new campers one week after the close of each session, and continue taking applications until camp is full. Please apply as early as possible in the year, but never hesitate to check on availability. The easiest way to check, and to get other questions answered, is to call us in the office at 828-669-8766. Do you have a one week session? Kind of, and yet not really. While we offer a six day starter camp, we prefer two week and longer sessions. Particularly at the two week level, most children ready to be away for one week will prosper even more from two weeks. Longer sessions minimize the adjustment phase and emphasize the best parts of camp. 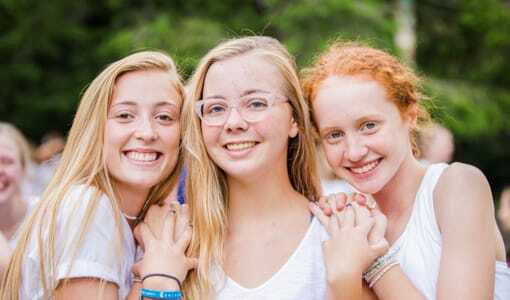 A few of those parts are: progress in their activities, life-long friendships, fun out-of-camp trips, feeling as though camp is one large “home,” and new skills absorbed, tested, and demonstrated. We can begin all of these things in a shorter session, but we are always looking forward to the next summer when they will come longer. A list of items is included in our camper packet released in February. Our cabin size ranges from 6 – 24 and our overall staff to camper ratio is 1 to 3.5. How do I pick activities? An activity selection sheet is included in our camper packet as well as our online forms that are released on the web each February. Select nine (9) activities, ranking them for 1 to 9 by preference, and return the sheet to us. 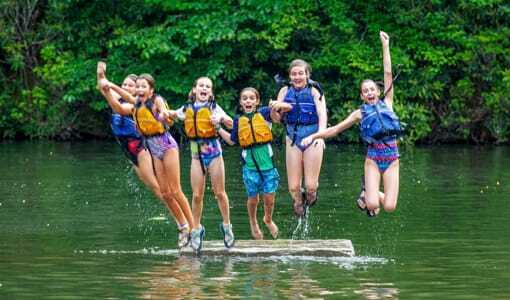 A $1,000 deposit is required to reserve a spot for your child at summer camp. The deposit is applicable to the tuition and is, in the event of withdrawal, refundable (less a $300 processing charge) if written notice is received by the camp office by February 1. No refunds will be made after February 1, whether for withdrawal or session changes, except in the event of documented physical illness of the camper, and in such event, 50% of the unused portion of the tuition will be refunded. The balance of the camp fee is due by March 1, and should be paid by check, or echeck. Once on file, you may choose to use your echeck or credit card accounts to pay remaining balances. Checks may also be sent to camp. The horseback riding fee is to be paid at the time of registration. Please note there is a 3% service charge when using a credit card. Our wait list is first-come, first-served by date in time and years in camp. No deposit is required to be on the list, and you will be notified when a spot becomes available. At that time you will have to put down a deposit. We fill early each year. How do campers do laundry? How often? Campers bring their laundry to our in-camp laundry service once a week at breakfast. They pick it up later in the day. It is very important that every item be permanently labeled with your camper’s name. Are phone calls allowed? What is the best way to communicate with my child? Phone calls are strongly discouraged. We will never prevent you from communicating with your child. We will, however, encourage you to speak with a director or your child’s counselor first, and all phone communication must be initiated by the parent. The best way to communicate is with encouraging letters and emails. What kind of luggage should I bring to camp? Do I have to mail it ahead of time? You should bring a large, canvas duffle to camp. These are nice because they are both able to carry all camp necessities and are easily stored away when not in use. You do not have to ship the duffle ahead of time, unless your camper is flying, though many parents choose to ship in order to lighten the load in the car. We work very hard to send campers home with everything they brought. But we also ask campers to keep up with their own things. Of course we’ll help. Every night – long after the girls have gone to their cabins – our staff will tour the grounds collecting all lost items and returning everything they can. So be sure to put their names on everything. 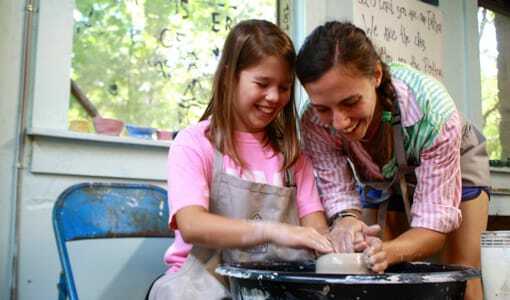 Can my child be in a cabin with her friend? Usually. Campers of the same grade can request on their applications to be in the cabin with each other. We honor as many of these requests as possible, but cannot guarantee your camper will be in a cabin with a particular person. If you forget to list this information on your application and want to request a cabin mate, email us the information. The earlier we receive a request, the more likely we are to be able to honor it. 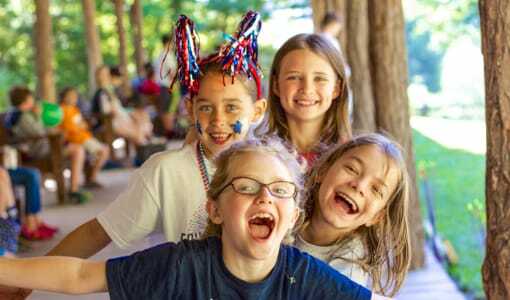 Does my child need any spending money at camp? No. The camp fee will cover all expenses in camp. When filling out our camper packet, you may choose to give your camper a ‘spending allowance’ that they can use to buy clothing in the camp store during the session. If you would like to do this, we generally recommend $50 per week. 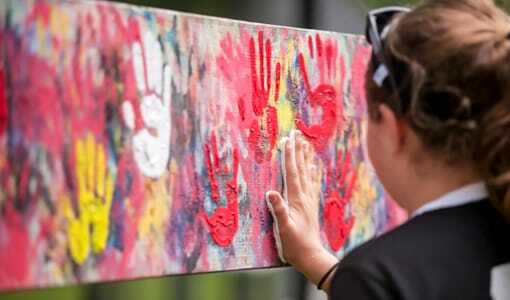 Missing home is normal for many campers, even for some girls who have been at camp for years. Don’t worry; we’ll give you a call if her homesickness is more than is typical. We’ll also give a call for anything that we as parents would want to know if she was our daughter. Who should not come to camp? 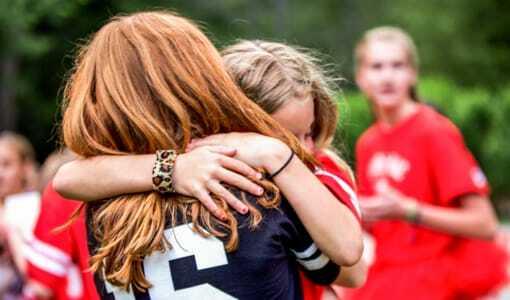 We think everyone should go to camp, but not every camp is right for every girl. Merri-Mac can be socially intense so we are not the right fit for girls with behavior or emotional challenges. If a girl’s behavior is hurtful to the group then we will ask her to leave. There are no refunds if this happens so please give us a call if you are unsure if your daughter ready. 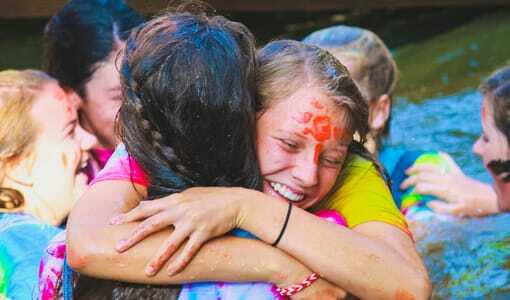 We want her with us if it is a good fit, and we want to help you find the right camp if not. 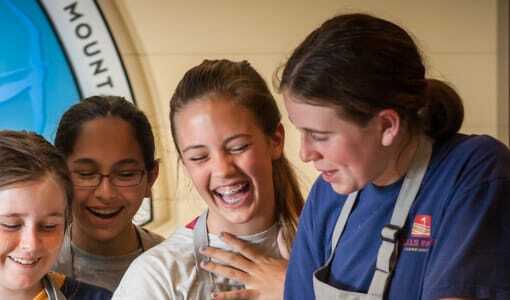 Eating is especially important at camp since the girls are so active, so let’s talk if this is an area of concern. We work hard to to make special diets work, but we are not able to accommodate vegan. We should also talk about any special medical needs, like diabetes or a severe allergy.